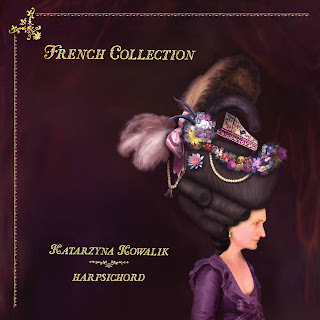 On this disc, the London-based harpsichordist of Polish origin Katarzyna Kowalik presents a selection of French 18th century music for harpsichord starting with Rameau's Premiere Livre de Pieces de Clavecin and then moving through pieces by Antoine Forqueray, Christophe Moyreaus, Pierre-Claude Fouquet, Francois Couperin, and Joseph-Nicolas-Pancrace Royer. Amongst other Katarzyna Kowalik studied with Christophe Rousset and Skip Sempe, and I first came across her when she was a member of the 2015 Handel House Talent Scheme. On this disc she plays a 2012 harpsichord by Andrew Garlick after an instrument by Jean-Claude Goyon from 1749. The first thing I noticed was the wonderfully resonant and sonorous sound of the instrument, pitches of notes clearly centred with none of the annoying pecking you can get with some harpsichords. And Katarzyna Kowalik brings out a wide vareity of timbres and texture in the music, displaying the instrument's, and her, versatility. It helps that she has chosen a sequence of highly characterful, not to say vivid, pieces to which she brings virtuosity and a sense of colour. This is certainly not a boring recital! We start with Rameau's Premiere Livre de Pieces de Clavecin, his first published book of harpsichord pieces and his earliest known composition. Whilst the names of the movements would suggeste a traditional, somewhat backward-looking suite (Allemande, Courante, Gigue, Gavotte,e tc), Rameau's writing is anything but traditional, full of harmonic interest and using the full range of the keyboard. Katarzyna Kowalikplays it with lively sympathy and great vividness. She follows the suite with a sequence of characteristic pieces by other 18th century French composers, many depicting particular characters, known and unknown, from a mysterious Portuguese lady to the viol player Forqueray (Rameau clearly didn't like him), a pair of oriental-influenced ladies La Chinoise and La Japonaise and a pair of pieces from Couperin's portrait of Philippe, Duc d'Orleans, Regent de Frances, as well as Couperin's best known piece, the strangely named Les Barricade Misterieuses. These are all viivd, highly coloured pieces and Katarzyna Kowalik weaves them into a sequence which balances the Rameau nicely, though it would have been lovely to hear a complete Couperin suite, perhaps next time. I have to confess that much as I enjoy Baroque and early Classical music, a complete disc of French 18th century harpsichord music is one that I approach with trepidation. But Katarzyna Kowalikhad me convinced, giving the music both vigour and vividness, as well as sophistication. 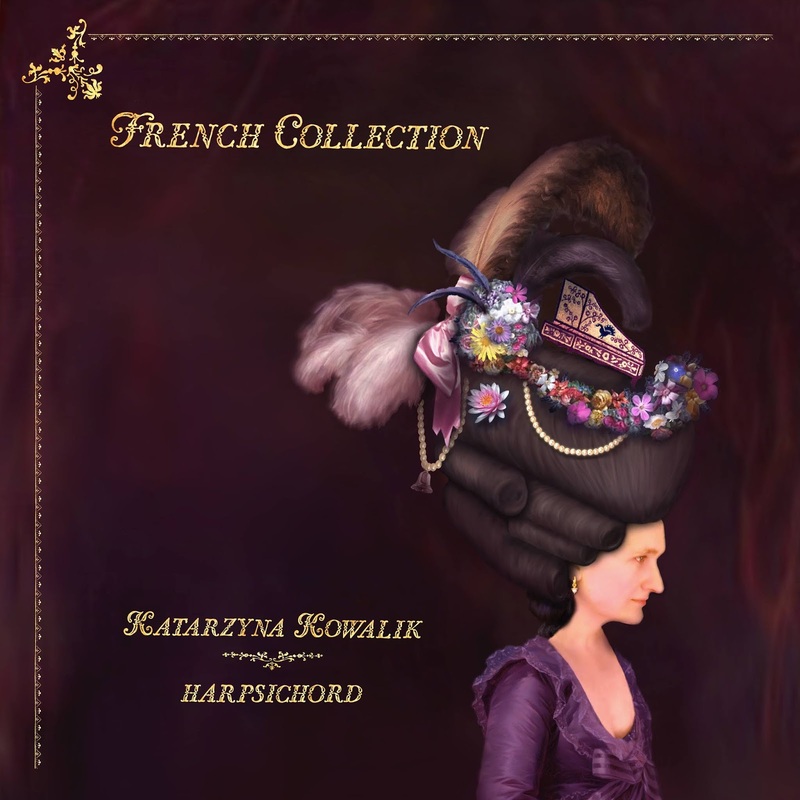 The album is available direct from Katarzyna Kowalik's website.